Missed tackles. Missed assignments. Missed communication. The Redskins defense was a big reason for a strong start to the season, but is now a big reason for the team's rapid descent to 6-6 and a three-game losing streak heading into Sunday's matchup against the visiting New York Giants. WASHINGTON (AP) — Missed tackles. Missed assignments. Missed communication. All are plausible explanations for what’s gone wrong with the Washington Redskins’ defense lately. 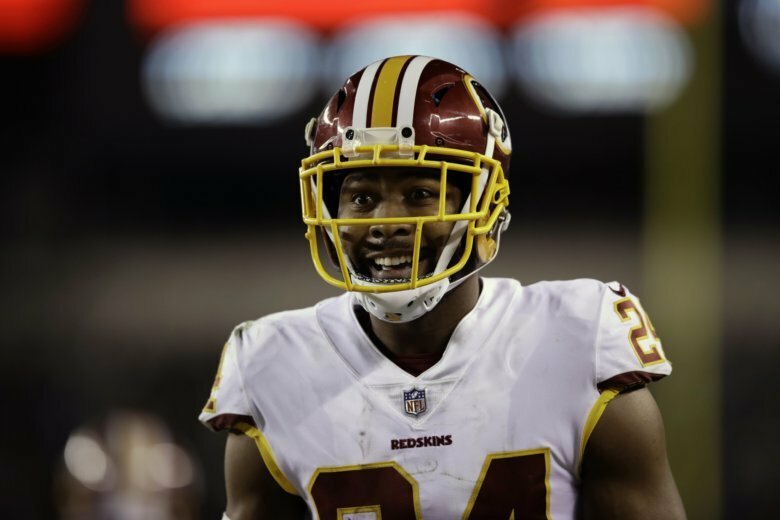 A unit that was a big reason for the team’s strong start to the season is also now a big reason for the Redskins’ rapid descent to 6-6 and a three-game losing streak heading into Sunday’s matchup against the visiting New York Giants. Only 12 of the league’s 32 teams have given up more yards per game than the 367.4 the Redskins are allowing this season. That’s bad enough as it is. But narrow the scope to the past five outings, and Washington’s average balloons to more than 420 yards. Over the past three games, Washington’s opponents have averaged 27.3 points. To Norman’s point, the third-down conversion numbers are the most staggering of all. For the season, the Redskins are letting foes get the first down 44 percent of the time; only three clubs are worse. Over just the most recent five games, it gets worse, rising to a 54 percent success rate on third downs. It’s probably not a coincidence that Washington is 1-4 in those games, dropping from first place to third in the NFC East. And now comes the challenge of dealing with the Giants and their two offensive stars: rookie running back Saquon Barkley, third in the NFL in rushing yards, and wideout Odell Beckham Jr., who threw one TD pass and caught another last week. Unlike all of the injury issues on offense — Mark Sanchez is Washington’s third starting QB in less than a month, and the team is on to its third pair of starting guards — the defense has been relatively healthy. Plus, it was supposed to be getting help when the Redskins acquired Green Bay Packers safety Ha Ha Clinton-Dix at the trade deadline. Things only have been getting worse lately, though. Notes: LB Ryan Anderson (hamstring) and G Tony Bergstrom (knee, ankle) were ruled out for Sunday, while LB Zach Brown (illness), C Chase Roullier (knee), DL Matt Ioannidis (bruised shin) and WR Josh Doctson (strained hip) were listed as questionable. … With all the injuries along the offensive line, Gruden said the team hadn’t yet decided who will start at the two guard spots and that the team might do some rotating of players during the game.